"Only one protester, animal rights activist Karen Conlon, who lives in New York, attended a planned rally outside state Superior Court in Danbury. 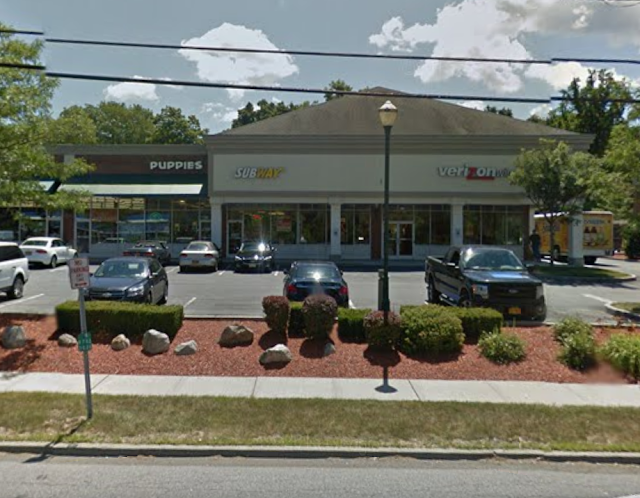 She said she hoped that drawing attention to Doyle’s case would force the closure of the Danbury shop, as well as his two other stores in Mamaroneck, N.Y., and Mohegan Lake, N.Y."
Apparently this "American Breeders" puppy mill has been next to Subway for years. Just noticed it after Mr. Doyle started making the news.